Exhibition of pastels and oils. This exhibition represents a year of work, including Street scenes and portraits.. In Toulouse I have spent much time walking the streets and watching people, in bars, by the river, on benches- waiting or lost in thought. I frequently work on small pastel sketches, often 20x20cm, using limited colour. I find this method of working practical, it allows me to work in cafés or to squat in doorways, and later I may build up the sketches into larger pieces in the studio. 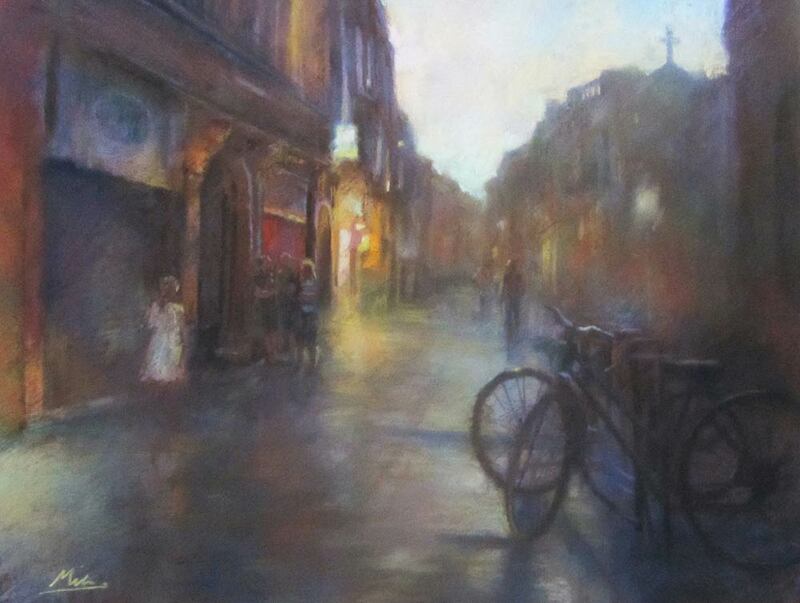 My favourite time to paint is the late afternoon and the evening when the street lights and the neons appear. The hurrying pedestrians turn to silhouettes and cast shadows in their wake. Both oil and pastel portraits are included in this exhibition. 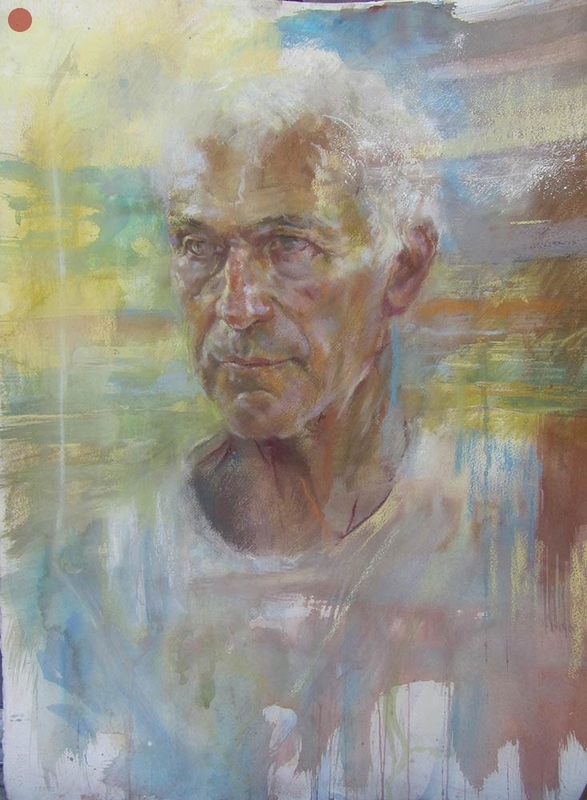 Occasionally, as in ‘Returning Sailor’, a portrait of my Father in law J.C.Havas, I use watercolour underneath the pastel which helps me to introduce a more fluid energy into the pastel technique. Most of the portraits in the show are of my immediate family and friends.